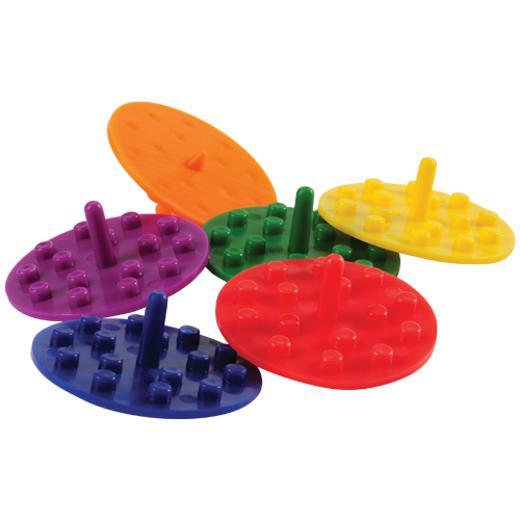 Cheap Block Mania Tops - 12 Ct.
Great addition to any Block Mania themed goody or loot bag! "Build" the perfect spin with these Block Mania themed tops! Just a flick of the wrist, and these tops will spin and spin - an array of colors that will delight children & adults alike. Modeled after their favorite toy, each top features the familiar brick building patterns that makes this the perfect party favor for your next themed event! L: 7.0 in. W: 1.4 in. H: 6.35 in.